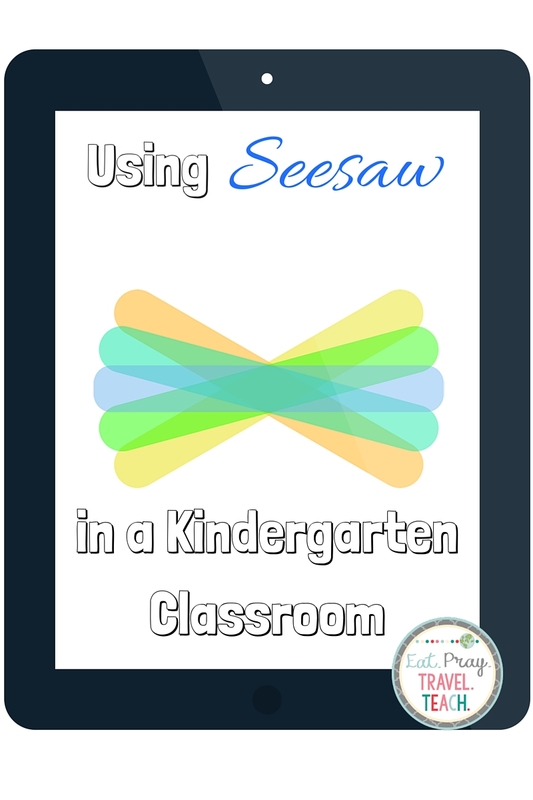 Click here to read how I am kicking off the year with Seesaw. Seesaw 4.0 is here!!! Update your app on your iPhone and iPad! Also, be sure to scroll to the bottom of this page to get a free month of Seesaw Plus! Have you started using this awesome FREE app in your classroom yet?! I have to say, I am just obsessed. So let's talk about it! **Please note - I am NOT a 1:1 classroom. I utilized my personal iPad and old cellphone in my classroom. The phone "belonged" to my students. I set expectations and never had an issue. If you allow parents to view they can only see their own child's work. (Unless you choose to share something to all of the accounts i.e. pictures or class announcements). Parents LOVED this app. They enjoyed getting an update during the day and comment on their child's work. Seesaw says it best on their website. This app is empowering to our students! My students were so excited to share their work. (We also used Periscope in my room so they are loving that they connect with others on a global scale). How much do I upload? Completely up to you! As I was just beginning I was in charge of uploads. I would bring the students to me, it was quick until they were able to take full control. Later I moved into allowing my reporter of the week to be in charge of the class device and choosing what they upload. Mostly my students would ask to upload their journals. I would take a picture of the entry, upload, and then they would record themselves reading it. LOVE! 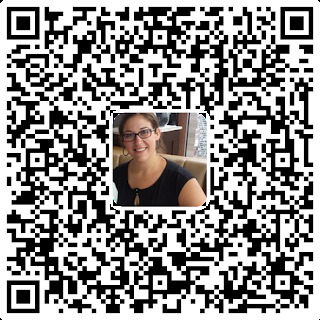 Here is Emily from @Seesaw also showing you how to get started! As with anything, starting something new can be daunting. So I am sharing some tips on getting started. I hope you get to explore over your break and begin the next school year with a bang! 1. First head over to http://web.seesaw.me/ and sign up for free! 2. Upload your class list. 3. Invite parents - you may choose to wait until you have an item uploaded for each student. 4. Again, it is optional. 5. When you give access you can send an email or print directions. Parent's get step by step instructions and a specific QR code for their child. I LOVE that parents do not need a smartphone or device to access - they can use a computer! 6. Now the fun! Start uploading! There are so many different options - play around! 7. Motivate your students. Here you can see this work as an image and then a voice recording that the parents can play. I can see that the parent viewed it and "Liked" it as well. They can also leave comments to their child. I loved being able to communicate and update parents with class happenings. During centers I could record a specific skill that I am helping a student with. I can send that video right to the parents to show them how we practice! Quick and easy assessments! I leave notes to parents and show them what to review! LOVE IT! I am a huge fan of this app! It has truly transformed my classroom. I can not wait to see what I can do with even more training. 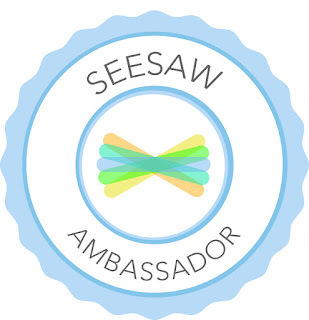 I am now a Seesaw Ambassador! I am so excited to continue to share the love of Seesaw with others! There are only 3 of us in PA and I would be happy to offer any training to your school if I am in your area. While Seesaw is free there is now a new feature and I want you to try it for FREE! Scan the QR code below or click to go to the link. I would suggest waiting until school has started and your are familiar with Seesaw to really check out the free perks. Since it is a paid subscription there are so pretty cool features. Now as the teacher you will be able to have your own private folder, comment on student work (so only you see it) and create skills and track if your students are meeting them. How cool is that?! So many cool features - time to jump in and play! With Seesaw is the next year's teacher able to view the students portfolio? Under your "Other uses" where you explain that you can share and update about class happenings, does that get shared in a way that all parents are viewing it and commenting on it or does it get shared to each individual student's account? Does that make sense? Basically I want to use SeeSaw for the student learning portfolio aspect but I also want an almost Facebook style newsfeed where my parents can see what is happening in the classroom each day with pictures. How do you share the device(s) among students to use? Wondering how I share this in my classroom with only one device and probably many students wanting to use..
Set up an area and a certain time frame that they may share. One device is really all you need. Set the ground rules and your expectations first, such as be respectful when someone is recording. It does not take long to share a activity to their journal even if they are explaining. Last Week of School, Let's Go Camping!